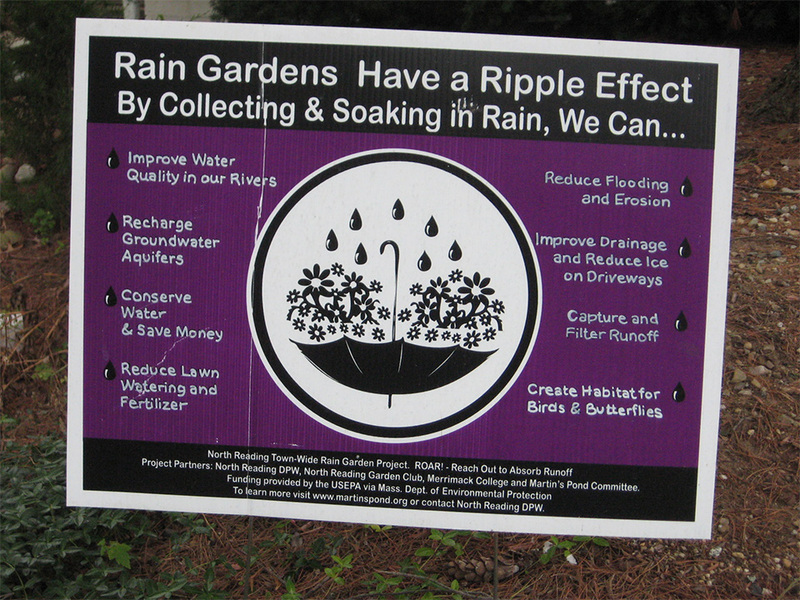 What Motivates Someone to Conserve Water in Their Yard? Water resources worldwide are increasingly threatened due to urbanization, increased demand for water, and impaired aquatic ecosystems. Toss in climate change and more frequent droughts and this already difficult situation is becoming even more exacerbated. Which of our habits are to blame for using the most domestic water? Number one culprit is… drum roll, please … residential landscaping, especially keeping all those lawns we love beautiful and green. Professor Robert Ryan, Department of Landscape Architecture and Regional Planning at UMass Amherst, has undertaken a four-year project to examine the influence of policy and outreach efforts on local residents' adoption of water conservation and storm water strategies. He, his colleagues, and his students are working with residents in landscapes north of Boston, in the watershed of the Ipswich and Parker Rivers. The Ipswich River is considered one of the most threatened rivers in the United States, due to polluted storm water runoff, increased development, and over-use of water by local communities. In fact, the impact of human activities and climate change have contributed to the upper half of the river running dry in 1995, a pattern that was repeated five more times through 2008. By 2003, the Ipswich was named the third most endangered river in the nation, according to the Union of Concerned Scientists. Water conservation and storm water management have become critical priorities for local government agencies faced with frequent water shortages and impaired water quality. Ryan’s project traces watershed conservation measures from policy incentives to impact so as to develop a clearer picture of the relationship between local policy and outreach efforts, and actual decisions to engage and install residential landscape water conservation practices. In order to address these environmental issues, Ryan’s multi-disciplinary team developed outreach efforts to promote outdoor residential water conservation techniques that provide ecosystem benefits. 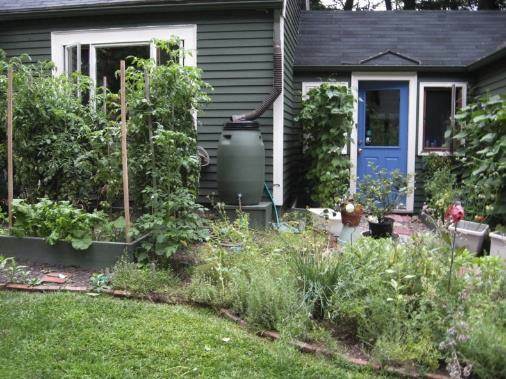 These include: water harvesting using rain barrels; infiltrating storm water back into the ground using rain gardens; and landscaping with native plants. Ryan believes that there is a need to understand how recent water conservation outreach efforts impact local residents' attitudes towards and behaviors incorporating these low-impact development (LID) strategies. His team is looking at how their efforts could lead to measureable improvements in water conservation and ecosystem health. The overarching outreach intention of this project is to inform and strengthen the conservation practices of local residents and water agencies in order to lessen the amount of water used and restore the ecological health of local rivers and streams. Beginning in 2012, the team began analyzing local water conservation programs and policies. They reviewed government documents and conducted interviews with water providers, conservation groups, and members of the landscape industry. Their goal was to identify local policy and outreach efforts across the watershed and to evaluate connections between those and the adoption of low-impact development (LID) practices. Over the past year, they’ve been investigating how residential water conservation policy is made at the water supplier level. They have conducted in-depth interviews with stakeholders from state, local, and non-profit organizations to learn how decisions about residential water conservation are made, and what would make these decisions easier and more effective for water suppliers and residents. They also analyzed current water withdrawal permits and interchange basin transfer agreements to characterize water conservation policies and programs within the Ipswich and Parker watershed. They found that the state water withdrawal permits mandate that suppliers encourage residential water conservation, but did not regulate how this is achieved. Water suppliers can make decisions based on what’s best for their community. From rebates on water efficient appliances and free giveaways of water-saving devices to community demonstrations of drought resistant grass plantings, water suppliers across the watershed are offering a wide spectrum of conservation tools of which residents can take advantage. However, the analysis conducted as part of this project shows that water suppliers make decisions about which conservation tools to offer without sufficient input from residents on what tools would be most useful for their specific community. As this study continues onto its final year, they will look at residents’ opinions on these water conservation options. Next, the team sought to understand homeowners’ willingness to engage in conservation. They explored the factors that influence local residents' decisions to engage in low impact development strategies to conserve domestic water and manage storm water. To gain this information, they conducted a survey of 1,000 local homeowners in the Ipswich River watershed towns of Middleton, North Reading, Topsfield and Wilmington. Homeowners were chosen by three methods: at random, those who were members of a watershed association, and residents who lived within a 1000' buffer of the Ipswich River. They asked 21 questions such as: How do you use water outdoors? 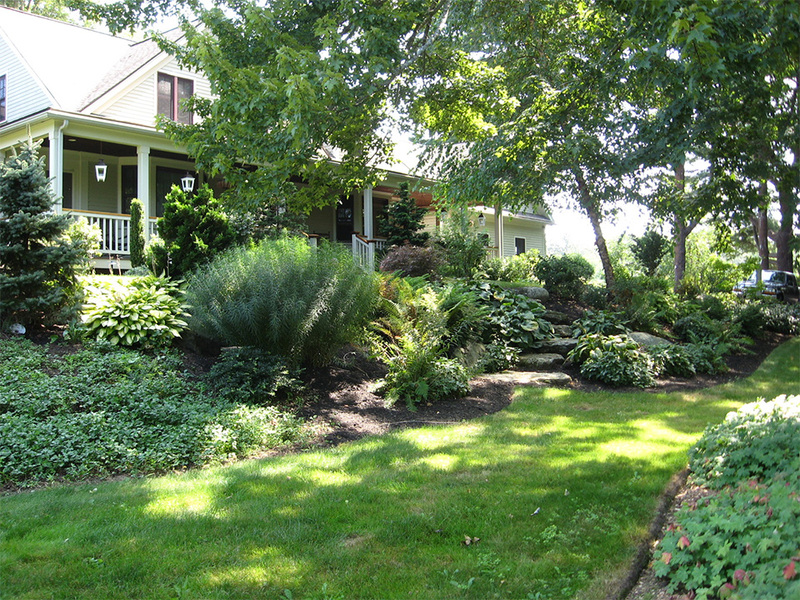 How willing are you to install water-conserving landscapes? The survey sought to understand attitudes and perceptions towards outdoor water use, and aesthetic preferences for water-conserving landscapes. The results thus far suggest that there are many factors that affect a homeowner's willingness to adopt these practices, including those practices that appear to be more aesthetically pleasing. Researchers analyzed the results to compare responses between different demographic groups, and between homeowners with public water and those with private wells. (Over 80% of respondents were supplied by public water.) Concern for the environment, household income, town and water source were all important factors in homeowners' attitudes toward outdoor water use. The project researchers aimed to understand the connection between adoption of water conservation practices and actual water quantity savings at the household and watershed scales. They measured outdoor water use on properties with different landscaping to assess how much water was used and for what purpose. Water meters were installed on spigots at 22 homes in the Ipswich Watershed from August to October 2014. To date, they found that lawn watering uses the largest quantity on average and also has the broadest range (27-1010 gallons per watering event). Other outdoor water uses have included filling the pool, filling the bird bath, pet care, and cleaning (lawn mowers, cars, etc.). Fruitful discussions with homeowners are ongoing to determine motivations for when and why they engage in outdoor water use. Additional participants will be needed for the fourth and final phase in 2015; if interested, please email Emily Argo at //wateruse@umass.edu">wateruse@umass.edu. The Project Team included: Allison Roy, Anita Milman, and Paige Warren (all faculty members in the University’s Department of Environmental Conservation), Mary Owen (UMass Extension Turf Program leader), Rachel Danford, Johanna Stacy and Emily Argo (graduate students).